Virginia-breds had a solid Easter weekend, bagging five wins over Saturday and Sunday then for an encore, collected additional wins the immediate Monday and Tuesday after. Horses bred by Mrs. C. Oliver Iselin reached the winners circle three times in that span — Lovin d’Cause, Talk Less and the hot American Dubai. 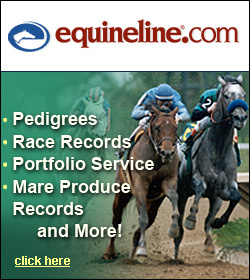 The wins came respectively at Mountaineer, Mahoning Valley and Sunland Park. The first two broke their maidens while the latter won his fourth straight race, all in 2017. Lovin d’Cause is a 3 year old Creative Cause filly who surged from second in mid-stretch of her five furlong maiden special weight race April 15th to win by 3 1/2 lengths. The Michelle Helms trainee connected for the first time in four career outs. She is out of the Not For Love mare, Hawaiian Love. Talk Less also was best in his maiden special weight test at the one mile, 70 yard distance. The 3 year old Blame colt won handily by five lengths after being sent off as the heavy betting choice. He is out of Aristra by Afleet Alex. American Dubai captured the $150,000 Sunland Park Handicap Easter Sunday with an effort that has been well documented. 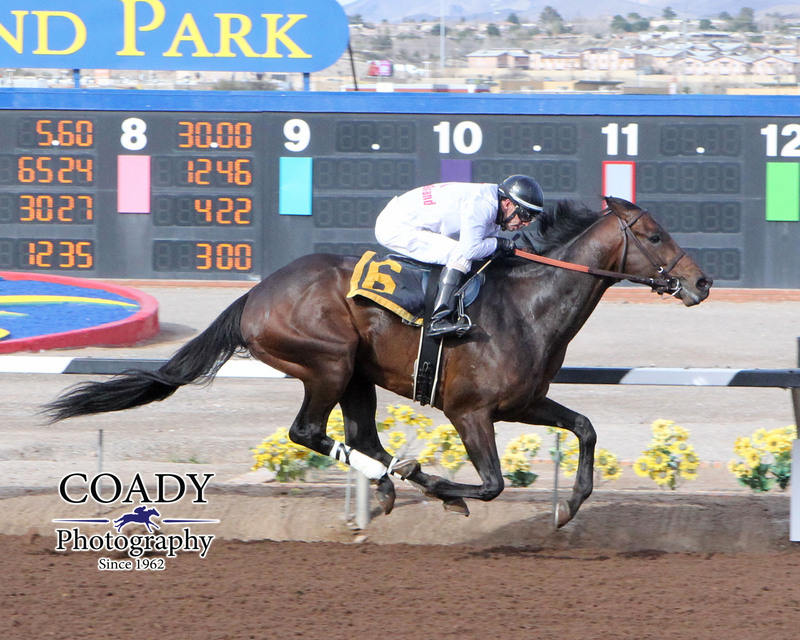 The 4 year old E Dubai colt continues to roll at Sunland Park, winning for the fourth straight time. The Rodney Richards trainee has earned over $150,000 this year and $244,022 from 11 career starts. He is out of the Bates Motel mare, Smash Review. Susan Cooney and her 5 year old Closing Argument gelding, Made Bail, had a happy Sunday holiday as well. He was best in a $50,000 allowance race that featured a thrilling finish. Made Bail crossed inside, a nose over Elusive Joni and a neck over Grandiflora. He was making his first start since November 23rd and with the triumph, saw his bankroll rise to $180,607. 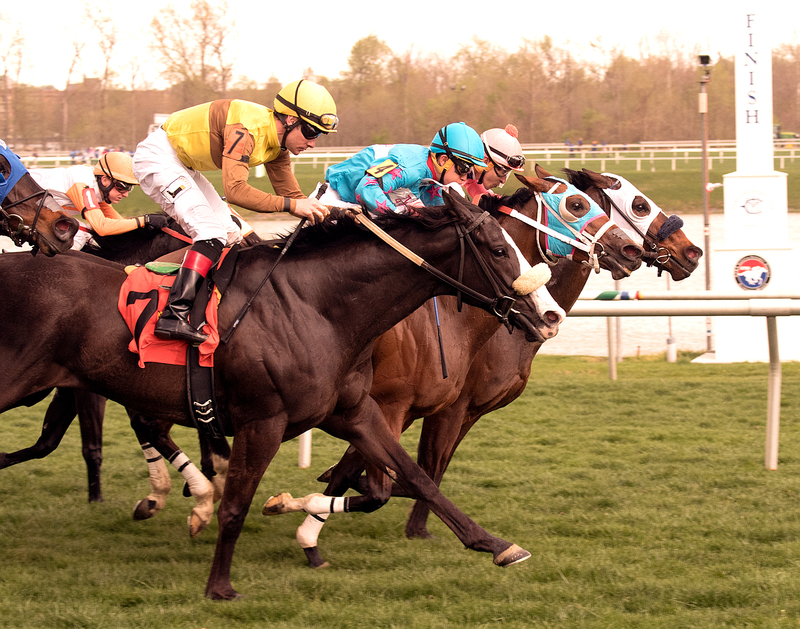 Made Bail (inside) wins a thriller over Elusive Joni and Grandiflora on Easter Sunday. Photo by Jim McCue. The other three extended weekend victors gained their first lifetime wins. Balistes won a $20,000 maiden claiming steeplechase race at the Tryon Block House in Columbus, North Carolina with connections that thrived at the fall International Gold Cup card at Great Meadow. Trainer Neil Morris and rider Kieran Norris led the Sara Collette bred Balistes to a come from behind, three-quarter length win at the 2 1/8 miles distance. The 5 year old gelding is by Xenodon out of Jordani by Two Smart. Sister Says was nearly 12 lengths behind in her $33,000 maiden claiming sprint at Laurel Easter Sunday, but came on in the last half to win by two. Bred and trained by Thomas Beal, the 3 year old Ecclesiastic filly did not race as a two year but has three “in the money” finishes in 2017, good for $30,990 in earnings. The final victory of the seven was authored by Paper Moon at Parx on Tuesday. The 4 year old Henrythenavigator filly was making her first lifetime start and dominated, winning by 7 1/2 lengths at the one mile, 70 yard distance. She is out of the El Prado mare, Art Student, and was bred by the William Backer Revocable Trust. Four of the seven also won bonuses for their owners as part of the Mid-Atlantic incentive program, sponsored by the VTA and HBPA. Lovin d’Cause, Made Bail, Sister Says and Paper Moon each won an additional 25% for their winning efforts.